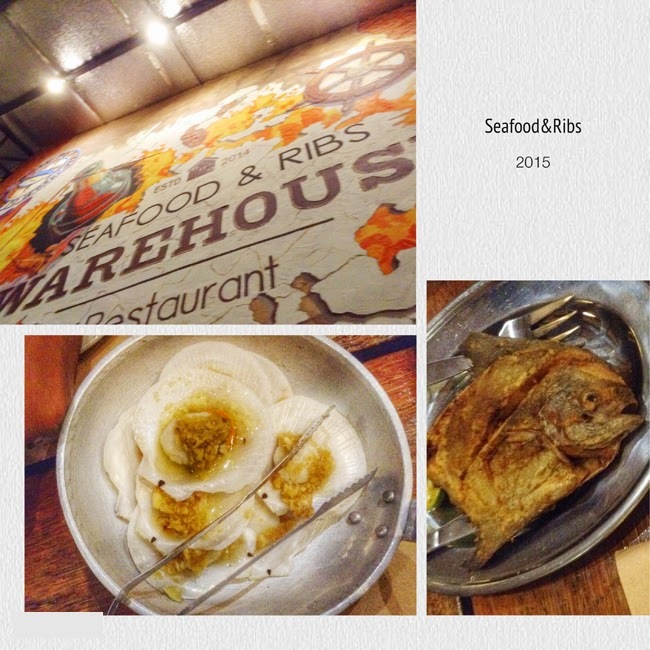 Got to check out a new Warehouse-themed Seafood and Ribs place that just opened in the Candahug area. Basically one will be drawn here for the sake of it's ambiance. The design and interior here reminds me of the Steak and BBQ franchises in the US like Texas Roadhouse or Cody’s and it’s very well done, very satisfactory. Food preparation is “Sutokil" (grill, broth and ceviche style). The seafood and meat items are all raw, situated by the front door, one chooses the items, you hand and dictate how you want the food prepared to the staff and it is served to your table. Based on stature and food fare, Seafood and Ribs Warehouse may propose as a competition to Ocho Grill, the good news for Warehouse is that they are polar opposites in location so patrons from the Marasbaras, Palo area and further south can easily access a Sutokil at this resto. My gauge for the viability of the “sutokil” is how the grilled scallops (Tipay) are done, I found that the Tipay in Warehouse could use a bit more grilling and seasoning. The tiger prawns were excellent though, so much that I couldn’t take a photo of it as it got consumed in no time. The clientele are somewhat upper scale and I believe everyone that can are coming over as it’s the honeymoon stage. It’s worth checking out for the curious, try it and see for yourself.